We are widely recognized as a prominent manufacturer, supplier and exporter of premium quality Surface Treatment Chemicals, which has received immense praise from the clients. These are in absolute tandem with the industrial norms. 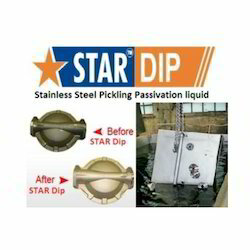 We are well known Krystal Surface Solution (Krystal) ISO 9001 : 2008 Certified Company Manufacturer & exporter of Star chemicals for fume-less pickling and passivation of stainless steel, Pickling Paste, Pickling Gel, Pickling and Passivation Chemical, Pickling Passivation Paste Gel, Star Gel Pickling Gel, Pickling Paste, Stainless Steel Passivation, weld scale removal, SS welding removal. Star chemicals are tested & approved by I. I. T. - Bombay under ASTM A 380 standards. 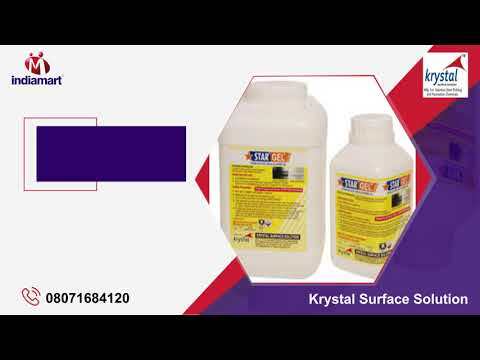 We are well known Krystal Surface Solution (Krystal) ISO 9001 : 2008 Certified Company Manufacturer & exporter of Star chemicals for fume-less pickling and passivation of stainless steel, Pickling Paste, Pickling Gel, Pickling and Passivation Chemical, Pickling Passivation Paste Gel, Star Gel Pickling Gel, Pickling Paste, Stainless Steel Passivation, weld scale removal, SS welding removal. Star chemicals are tested & approved by I. I. T. - Bombay under ASTM A 380 standards. 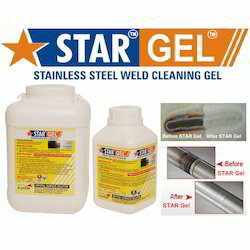 Star range includes, 1) Star Gel (Pickling Gel Pickling paste form) 2) Star Spray (Pickling Spray Semi gel form) 3) Star Dip (Pickling liquid form) 4) Star pass 1 (Passivation liquid form) for general industrial passivation 5) Star pass 2 biodegadable chelant non toxic passivation cleaner for stainless steel equipments & pipes for pharmaceutical, food, dairy, beverage, cosmetics etc. Industries STAR chemicals are approved by third party inspection agencies. 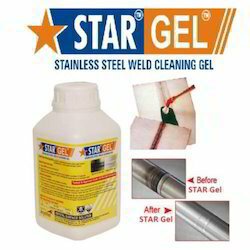 Star also manufactures various other products useful for welding and fabrication related industries. 1) Spatter Remover 511 non toxic, non flammble, silicone free anti spatter & flux-to be used any time before welding on any metal surface to avoid spatters sticking on surface and thereby avoiding totally labourius, time consuming chipping & grinding process. Spatter Remover 511 is tested & passes load, bend, radiographic etc. tests, showing improvement in weldjoint quality with it's usage. 2) E Polish 250 Electropolishing chemicals for stainless steel and other metals to get mirror bright & very smooth surface finishing without doing buffing process. 3) Rust Converter 177 rust converter for steel which converts rust itself into protective coating and acts as a base coat on paint, gives long life to paint applied afterwards. 4) Star Nozzle Gel (Gel form) is used for MIG Gun Torch, with regular use, it extends the life of Nozzle and contact tips. And many more products.5) Spatter Nixe - Water Based Anti Spatter Liquid ( is an innovative Product that has transformed the welding methods. This innovative product is silicone free ,non-flammable, non-toxic ,and non Polluting – welding Anti Spatter Liquid). We are actively engaged in manufacturing, supplying and exporting a premium assortment of Surface Treatment Chemicals. 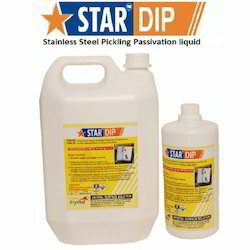 like Pickling and Passivation Stainless Steel, Pickling Paste, STAR Gel, Pickling Gel, Passivation Chemical, Our range is processed using top class ingredients, procured from the most authentic vendors of the market. In addition, we also provide the service of pickling and passivation on demand of our valued clientele.